California boasts some of the best food and drink in the world, and as such it can be overwhelming to know exactly where to start when looking to sample the best of the best. The Golden State’s bar scene is especially diverse and dynamic and some of its best offerings are located in San Francisco. Here are all of San Francisco’s bars considered to be among the best in the state. 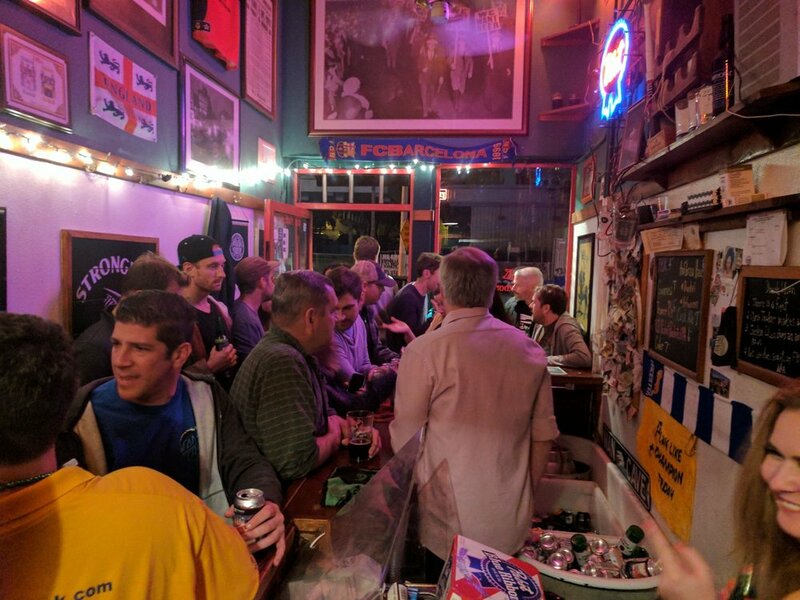 Known For: Officially the Smallest Bar in San Francisco at 19ft long and 7ft wide. 19ft long. And 7ft wide. What They’re Pouring: Serves a rotating selection of bottled beers, all stored in an ice-filled bathtub behind the bar. Known For: Coffee shop by day, mixology hotspot by night. What They’re Pouring: Jennifer Colliau is a masterful bartender, with a wealth of knowledge on all things mixology. Extensive menu of everything from various Old Fashioneds to draught gin and tonics. Known For: The best tiki bar in the country. What They’re Pouring: Try the extensive rum list or get the Smuggler’s Brew. Known For: charmingly surly bartenders. What They’re Pouring: Reputation for being one of the best beer bars in San Francisco, if not the country, largely due to the fact that they have 45+ beers on tap.